One Don Revie! There’s only ONE Don Revie!! Twenty-five years to the day after we lost football’s greatest-ever manager, I’m irresistibly reminded of a tribute Leeds United fans paid to The Don of Elland Road, some time after his death. It was a tribute paid in the face of compulsory mourning for Matt Busby, a manager rightly held in great esteem by the Establishment, and indeed by football as a whole – but this prescribed mourning was shoved at us as a fait accompli – like it or lump it. We Leeds fans, deeply conscious of the fact that our own Don Revie’s death had been disrespectfully ignored by the FA, chose in our turn to ignore the official edict. So we paid our own tribute, singing the name of Don Revie instead of standing silent and resentful before an away game at Blackburn – and in so doing, we brought upon ourselves the self-righteous and sanctimonious disdain of many, many fools and hypocrites. But the simple fact is that what we did at Blackburn that night in 1994 was absolutely right and proper. It was not a calculated act of disrespect to a manager in Busby who had nothing to do with us. Rather, it was a timely and positive tribute to our own legendary but marginalised manager, placed right in the face of official sanctimony, so that the whole world would know that it had been made – and why. Clearly, not everyone agrees with this point of view, many Leeds fans among those dissenters. But here’s why they’re wrong to dissent. The chanting of Revie’s name that night was admittedly pretty strong meat – it was a maverick stand to take at a time when the whole country seemed to have been brainwashed into accepting that one club’s heroes should be treated with a reverence denied to all others. Some misgivings I can understand – but I’m completely sick to death of hearing from those Leeds fans who profess still to be ashamed, all these years later, of the fact that we made the protest. The fact of the matter is, that this was the moment to stand up and be counted, collectively – and collectively, we’d not have been able to hold our heads up if some sort of gesture hadn’t been made at that game. Look at the facts. The death of Busby was predictably and nauseatingly over-hyped by the scum-loving media. The FA-prescribed national minute’s silence was just the tip of the iceberg – there was also endless eulogising all over the TV and the sickeningly mawkish spectacle of the lone bloody piper at Old Trafford, beamed into all our front rooms whether we liked it or not. On the other hand, the FA couldn’t even be bothered to send a representative to Don’s funeral, the hypocrites. So why the hell is there such a disparity, and more to the point, why the hell are we expected to just put up with it and go along with such blatant stinking hypocrisy and double standards? Are we supposed to have no pride? Well, I’m sorry, but sod ’em. Whatever anyone says – and I include the Leeds players of the time and those from Revie’s era who condemned what happened – the chanting of Revie’s name at Blackburn was a very necessary stand against the establishment view that Busby was a saint and Don was a sinner. It was a statement of our reverence for the Don, against a background of organised and compulsory national mourning for someone who was a hero only to Scum, City and possibly Liverpool fans. And it was an assertion of the fact that we are Leeds and nobody tells us when to show respect, especially when no bugger showed any respect for the Don in life or in death. The players from any era who were wheeled onto camera to criticise the actions of the fans at Blackburn, have one thing in common. They haven’t got a bloody clue what it’s like to be a fan. They’re players, club employees, and they come and they go, even the best and most loyal of them. Strachan – not a clue. Eddie Gray – not a clue. Not one of them knows what it is to be a fan and continually to have the media’s favourite bloody club shoved down your throat, to the exclusion of everything and everyone you care about as a Leeds supporter. I don’t give a toss for all the apologists who sit there bleating, oh it was a terrible thing, they dragged the name of our club through the mud. Well in case you haven’t noticed, the name of Leeds United is always being dragged through the mud, and not by us, but by the FA, by the buffoons of the Football League, by nonentities who work for or support other clubs, by the Daily bloody Mirror and other gutter rags, and by Uncle Tom Cobleigh and all. So sod ’em. We did the right thing at Blackburn, just as we did in the Galatasaray ground years later, turning our backs to the field of play. We showed pride for our club, respect for our dead, and a big fat V-sign to all those who are so overtly against us. It’s all about pride and self-respect at the end of the day – well, I was proud of us in the Ali-Sami-Yen that night in 2000, and I was no less proud of us at Blackburn. I’ll always be glad we didn’t just meekly toe the line and do as the hypocrites in the establishment wanted us to do, as every other simple-minded donkey did. I’m glad and I’m proud that we were big and angry enough to be different and stand up for our point of view. That’s what it means to be Leeds – we are United, and we are the best. You know what you can do with the rest. This entry was posted in Football, Leeds United, Life, News, Sport and tagged Blackburn, Don Revie, fans, Football Association, Leeds United, Man United, Matt Busby. Bookmark the permalink. Superbly well said that man. This is what blogs are for. Not the tiresome “who’s your fave player/manager” malarkey.I remember Strachan shaking his head in disbelief as he was standing in the line and i thought it about time we stood up for Don Revie and Leeds United. No disrespect to Matt Busby,i don’t have a problem with him. By all accounts he was a true gentleman aswell as a great manager and the chanting wasn’t directed at his demise in any way. I couldn’t agree more Rob-we are allowed a voice and opinion and as such voice that opinion of unfairness, bias and lack of respect for The Don. Fans know better than anyone…we pay to support our club in many ways, therefore respect us. 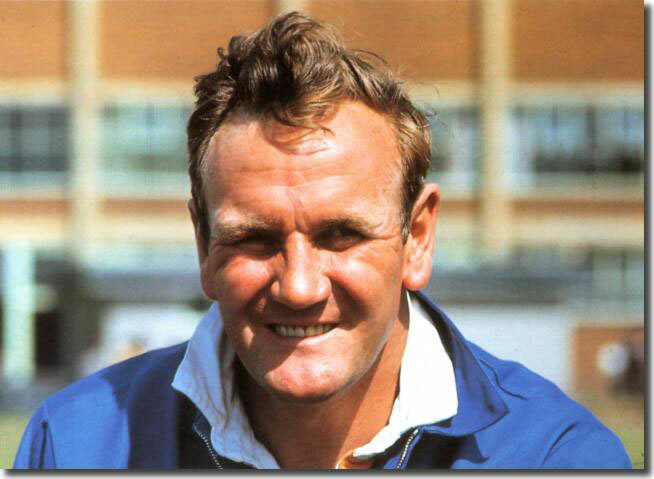 One Don Revie! To be honest we give a 1 minutes silence to all and sundry and we adhere to it…….regardless of our hatred for all things manure, Busby was a football Icon to some, Just like Gary Speed was to us and so I don’t see anything wrong with respecting a mans death…..
All true, but incomplete. The context was as I’ve described – FA overkill for Busby against the still-fresh memory of their total neglect where Don’s death was concerned. At the very least, our stand was easily comprehensible – and I’ll always maintain we were spot on with what happened. 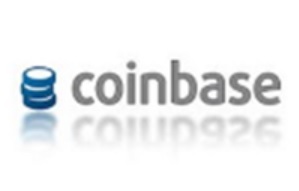 Well summed-up – and good to hear. This is one issue on which I normally take a lot of flak. Says a lot about Leeds fans when they dishonor a football legend and chant the name of a money grabbing crook instead. As it says all we need to know about you that you should hurl childish insults at a man who’s not around to defend himself – and all from the cowardly anonymity of a name designed to protect your own quivering hide. A scum fan, I presume. How’s the weather in Devon? Thanks for that, Rob. Brilliantly and poignantly put. Interesting article as always, Rob. On this one I’ll beg to differ. 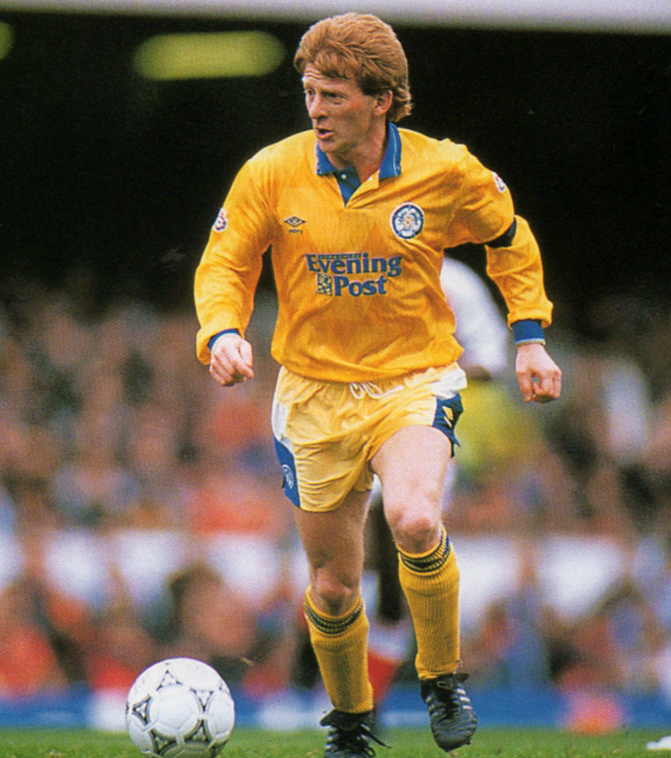 I supported LUFC before & during the Revie years, & never understood the FA’s behaviour towards him. However Busby was a great manager too, & a decent man (especially compared to later managers of the other United) & deserved respect. Revie deserved more, but not at the expense of another man. If a gesture needed to be made, and it probably did, that was the wrong time & place for it. Differing is good, diverse opinions are the lifeblood of debate. I’m convinced I’m right on this though. The particular circumstances which I’ve described in the article combine to make it true that a tribute to Don was needed, and what’s more some civil disobedience towards the FA’s diametrically opposing views on Busby and Revie. All of this made Blackburn in ’94 the right time and the right place to make a point that couldn’t be ignored. I agree with everything you have said in this article. A couple of months after this incident I had the honour of spending an evening with the late, great, Billy Bremner. I asked him what he thought about it and he said he completely understood the reasoning behind it. He added that he didn’t understand what that ”idiot” (I’ve missed a word out) Strachan was doing shaking his head. That’s one of Sir Don’s men who knew the score and, in my opinion, the main one. Rest in peace, Don and Billy. We may never see your like again. That’s fantastic mate, I’m so glad you shared that – and if King Billy understood then really – who is qualified to argue? Because the thing is, Billy “got” Leeds United AND the fans. He’d been the heartbeat of the club for so long, he just knew what made the place tick. Strachan, great servant that he was, never had the same empathy with club and fans – he just wasn’t equipped to understand. From the point of view of thinking like a fan, the same could be said of Eddie Gray too. Great players and United legends – but not OF the club, like Billy was. I really appreciate this contribution, thanks again. I was there that night Rob and the one thing that stood out for me was Strachan shaking his head as if he was ashamed of us . I was lucky enough to meet him years later at a charity dinner in Middlesbrough when he was their manager and I told him in no uncertain terms why we did it and how the total disrespect to the Don by the media and FA had brought it about . He did say in fairness to him that he didn’t at the time understand the reasons behind it and that it was just us hating Scum that made us do it . He still didn’t agree with it but understood why it happened . I told him that he should remember he came from Scum and his actions and interview condemning us also hurt us , our own Captain saying he was ashamed of us ?? That’s why he will never lace King Billy’s Boots . Great article as usual Rob and I and thousands more are totally behind you on this one mate . And many thanks for that one as well mate – extremely interesting to hear that Strachan’s position changed somewhat. You guys are restoring my faith! I know many disagree on this one – and that’s their privilege – but I’m so glad that some can see what was behind the headline. Especially Billy and, to a lesser extent, wee Gordon too. At no time and under no circumstances, would football’s authorities ever let us show our respect and shout it from the rooftops for Revie . I was at Chelsea v Leeds a week after the Hillsborough disaster, Chelsea fans were singing through the minutes silence , not one squeak from the London press. It’s due to our treatment from Hardaker onwards, that I have complete contempt for football’s, top brass and yes men, and even more for every other club they put in front of us . Contempt is all they deserve from us. I was also at Chelsea and remember exactly the same thing, Chelsea singing all the way through whilst we fumed in silence. After the game though many of us got to explain to them how disrespectful we thought they were. We must be cut from the same mould Rob. I totally ‘got ‘and proudly chanted there’s only one Don Revie at Blackburn, (if I’m correct, it was it live on Sky at 4pm on a Sunday and guaranteed our protest maximum exposure before the cameras). I remember Batty coming to the fans making a wankers gesture at us (someone else who clearly didn’t ‘get’ it). It wasn’t meant as a slur on Busby. 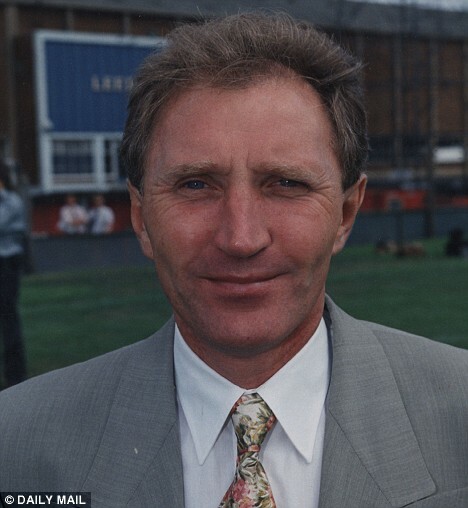 On another issue I nearly got to blows with our own fans at ER, because I refused to acknowledge and join in a minutes applause for the passing of Alan Ball. This, a man who went in to print in the gutter press to accuse the Don of bribery, when he was no longer around to defend himself. Hypocrisy stinks and these issues will rankle with me as long as I draw breath. I turned my back to the pitch for the ball minutes silence I kept it but that showed my contempt for a man who hated our club. Oh dear. I think you have missed the point somewhere…hatred of a football team will never be an excuse for not showing respect!! The FA actions whether right or wrong shouldn’t come into play. I cannot in anyway begin to entertain that all who disagree dont have a clue. To attempt to continue to defend years later just smacks of how disillusioned you have become. Simple question: Did Busby deserve our respect? Answer: Yes. Were you right not to show it? No!!! Oh dear indeed. Another Devon armchair, I’d guess. Its funny how every positive response to your rant gets a ‘thank you, well said’ and every poster who disagrees gets an accusational comment. Being a leeds fan does not make me a drone. I have my opinions, and as you keep saying I am entitled to them. I understand what was done, why it was done also I just don’t agree with it. Yes something needed to be said/done and I don’t have any other better options but I dont consider what was done to be the correct way. If you don’t like me disagreeing with you then best to stop blogging as surely thats the point!!! The point of blogging is to be disagreed with? You need to think again mate. Your petulant tone suggests it’s you that has a problem with those who disagree with you. My tone is based upon the tone of the article. It irked me, which was probably the intention. I read many articles on this site but i don’t remember feeling insulted if i ever disagreed before. You clearly feel passionate about this one so I shall simply bow out gracefully and hope I enjoy your next article. I hope so too. No guarantees, mind. I was born in 1969 I never met the man he never did anything personally for me why should I be forced to keep silent just to appease the media. Every Leeds fan understands what you say unfortunately the media told everybody it was aimed as disrespect of Matt Busby. Some get it, some don’t. It’s a complex issue and there’s no real logic to it. I fully understand where you are coming from and agree to a certain degree. But by doing what the Leeds fans did only resulted in us being hated even more by everyone, and more so by the FA. Regarding Galatasaray, I think in hindsight LUFC should have walked off the pitch that night after One minute, in the Ali-Sami-Yen stadium, that would have achieved biggest reaction in football. As for Eddie Gray, a great footballer, One of the best ever players. Heart braking to say, but as a person I cannot listen to him anymore, he is the biggest Man Utd fan going. Also putting LUFC fans down, as bias towards their team. On the first point, the game’s rulers are always going to hate us anyway – we might as well be hung for a sheep as a lamb. On the second, I simply agree with you. That would have been a devastating gesture, but neither Ridsdale nor O’Leary would have had the minerals to do it. On the third point – I have a story to tell about Eddie and Man U – and it does rather back you up in your assessment of him! Didnt know that about Eddie. nobby stiles was a closet Leeds fan though wasn’t he. To add insult to injury when Alex ferguson retired a couple of years back, MOTD put together a clip of ‘great British managers.’ Low and behold Don Revie was no where to be seen! Disgraceful! It was THIS year, and it was the most calculating, disgusting snub imaginable. Ferguson himself did respect the don though, unlike the twats at the fa, he went to his funeral. Sorry lads for me its pretty simple….you respect a minutes silence for the dead………….Whatever the cause is irrelevant no matter how justified you think it might be to interrupt it. Busby was a good man and deserved proper respect. The wrong call was made………. ……in your opinion mate. Not, apparently, in Billy Bremner’s. Please spill the beans, Rob. I for One would be most interested. Eddie gray is my all time favorite player, not only has he been a life long servant of Leeds united but he is an absolute gentleman ,, 30 yrs ago my brother died and the then manager of Leeds united , Eddie gray , walked me , my family and friends on to the Elland rd pitch and helped us scatter his ashes , so sorry but I won’t hear a wrong word said about the man…. As a player, a coach and as a man, he’s my hero too. But as a fan, he falls short. He just doesn’t have that one-eyed, biased view; the pro in him beats the fan any day. This in my view is why many find his commentary deficient as compared to, say, Norman Hunter. I’ve spoken to him a few times and he certainly DOES have a soft spot for Man U. He just can’t understand the Leeds crowd’s attitude towards them. Or perhaps even, having grown up with Glaswegian sectarian bigotry, he’s just sick of all the strife? It’s a serious matter up there, as it is in Ireland – makes our scum situation seem like small beer I suppose. The gutter press certainly had a field day on Leeds fans and Don Revie, after the Revie chanting, during the Busby minutes silence at the Blackburn game, with one journalist called Rob Shepherd, having some disgusting things to say about Leeds and Revie in a newspaper, the day after . In the hours after Don Revie’s death in May 1989, I only remember the great commentator, Brian Moore announcing Revie’s death, during that famous Liverpool / Arsenal game on ITV and he was always very respectful when ever he spoke about Revie. I certainly don’t remember the prospect a national minutes silence for Don Revie ever being even a faint possibility, due to the constant Leeds hatred from the national media, who have always “force-fed” the non-Leeds fans in British football, with the usual pathetic “Dirty Leeds” comments, for the past 50 years. Do any other Leeds fans remember Leeds having a minutes silence for Don Revie at the start of the 89-90 season?, because I went to every home game during that season and do not remember any minute silence happening. Wish they were all like Brian Moore today. I suspect the media reaction was what Leeds fans wanted, and by god got in spade loads, it is true to suggest the grief thieves at the FA were wrong to insist on a blanket minutes silence for Sir Matt, much more appropriate for the clubs who revered him to pay respects as they saw fit. We saw fit to protest the shabby treatment of Don, an ex England manager for gods sake as we saw fit, I was there that day and felt both elated and ashamed at the same time. We had made an important point, one which was hijacked by dim witted hacks and imposters dressed in white (ok yellow but you get my drift) and assumed to be an anti Man utd gesture. By god I can think of ten thousand reasons to hate that club, the fact that Sir Matt had success their is not one of them. I just checked the official Leeds United website and bugger me sideways, not one word whatsoever about the anniversary of Don Revie’s passing. I read on the To Ell and Back blog how the club appears to have forgotten our greatest manager, and had to see with my own eyes whether the Club had since bothered to rectify the glaring oversight. I do realise that Paul Dewsy Dews has been dispensed with, but surely SOMEBODY with the password can post a few lines to mark the 25th anniversary. Without Don Revie it is pretty fair to say that maybe none of the people connected with Leeds United would be there today, you and i included. It is because of him that the club grew to become the success it became and the huge potential to recover that status. Bates wouldn’t fund Don’s statue, and Cellino or one of his people ought to ensure he doesn’t put the fans’ noses out of joint by continuing this grave omission. Come on LUFC, if you can’t show DON some respect, who can you? The retrospective bashing of the Don and his team is inaccurate biased and hateful. However singing his name through a minutes silence for Matt Busby is an act I am certain would have appalled the man. For the record my first game was in 78 at home, I was a season ticket holder in the eighties a regular away fan, I did that first trip to Grimsby in the old second. Those are my credentials as a Leeds fan. I was not there that night at Blackburn, and glad that is the case, as I would not wish to be associated with such a shameful act. Totally agree with all that! We are mavericks, unlike any other club. Incidently, maybe thats why i see so many arguements online between us, and indeed in the stands? We have our own views on things, we hate being led, we wont be cowed, we wont stay in the naughty corner and do as we’re told – its a major reason why we are so ‘hated’. NOT THE USUAL ELOQUENCE ROB,BUT SHARP AND BLUNT TOGETHER.EXCELLENT!!!!! Eddie Gray is a fan, actually – he was watching us when he wasn’t working for us or managing elsewhere. Agree with the rest — hate Busby and the FA. I think Eddie’s deep love for the club, based on his connections to Elland Road since he was about 15, is more that of a committed professional than a devoted fan. I don’t see that he feels it all like a fan in that visceral, emotional way that so many of us do. That’s not necessarily a bad thing – we need our detached and rational element. But you’re a rational and erudite bloke, John, who is yet capable of coming out with “hate Busby and the FA”. That’s not something you’d ever hear from Eddie Gray, not even in private conversation (Bremner from all accounts was a different matter). Eddie is a football man, first last and and foremost. He’s a fan in a way that is always subordinate to his professional’s view of things and, as such, there are certain fundamental and irrational loves and hates that he just doesn’t “get”. That’s in no way a criticism of the man, it’s just the distinction between lifelong pro and utterly biased, committed fanatic. Further to this on-going debate, I think it can be safely said that if the right thing had been done at the passing of the Don – a minutes silence observed at all grounds – Busby would have received his at Blackburn.Sometimes, in all walks of life, things that may not be completely p.c. have to be done to make a valid point. I have no doubt in my mind, while respecting other opinions,it was the correct course of action. Staying with the Don, am I correct in saying that he is the only man to be both player of the year(Man. City) and Manager of the year(Super Leeds) ? Finally, talking of anniversaries, it is 39 years today that I and countless others were in Paris watching our beloved Leeds getting robbed of the accolade they so richly deserved – Champions of Europe !! I know some Leeds fans think this act was disrespectful, but I’ve got to say that my gut reaction on the day was that it was the right thing to do and my opinion hasn’t changed over the years.